In a back alley in the Moroccan capital, the small household repair shop opened by Moctar Toure since escaping conflict in his native Côte d’Ivoire is doing a brisk business. At the gates of Europe, Morocco has long been a transit point for migrants from sub-Saharan Africa looking to make the dangerous journey across the Mediterranean. But tighter immigration controls and economic malaise in Europe have made the kingdom a destination in its own right for many. In spite of the challenges that living in Morocco poses for migrants, Toure wants to stay permanently and got his legal papers last year. “In the beginning it wasn’t difficult… it was impossible,” said the Ivorian, who migrated to Morocco nine years ago. For several years after his arrival he relied on whatever odd jobs came up. Toure struggled with a family to support, and it was only when he received his residency permit that he was able to secure a regular income. With the help of local refugee agency Amapp, he got a roof over his head and rented a small space where he started his shop a few months ago in a working-class neighbourhood of Rabat. Toure has even managed to employ a fellow Ivorian to meet demand from customers, most of whom are locals. Although he is still working to integrate with society, “to return to Côte d’Ivoire would be something abnormal”, he said. The alternative to staying in Morocco for many is a perilous sea voyage across the Mediterranean. According to figures from the UN’s refugee agency, more than 2 500 people have drowned or been reported lost at sea this year trying to cross the sea to Europe. They include people who have fled poverty-stricken nations in sub-Saharan Africa, preferring to risk their lives at the hands of people smugglers. Those who remain in Morocco face a struggle to access education and healthcare. This year, in response to a migrant influx and criticism from rights groups, authorities launched a scheme to naturalise migrants and refugees, who number about 30 000. By the end of October, 4 385 residency permits had been delivered out of more than 20 000 requested. Serge Gnako, president of the migrant organisation Fased in the economic hub Casablanca, arrived five years ago. The 35-year-old Ivorian said he was deported several times and it was “difficult to access healthcare or to school your children”. Gnako believes Morocco is changing, however, and is hopeful his one-month-old son will receive a solid education. “I see our future in Morocco, and I hope my child will learn Arabic,” said the former university lecturer, who now teaches French. Thanks to a recent ministerial ruling, Gnako’s local school in the residential suburb of Oulfa now has 15 students from sub-Saharan Africa. Migrants in Morocco still face problems after gaining residency, especially in finding work in a country where youth unemployment is near 30 percent. “Your residency permit lets you look for work, not to find it,” said Reuben Yenoh Odoi, a member of the Council of sub-Saharan Migrants in Morocco. Many still consider “going to sea”, said Odoi, a Ghanian, referring to the treacherous maritime crossing to Spain. 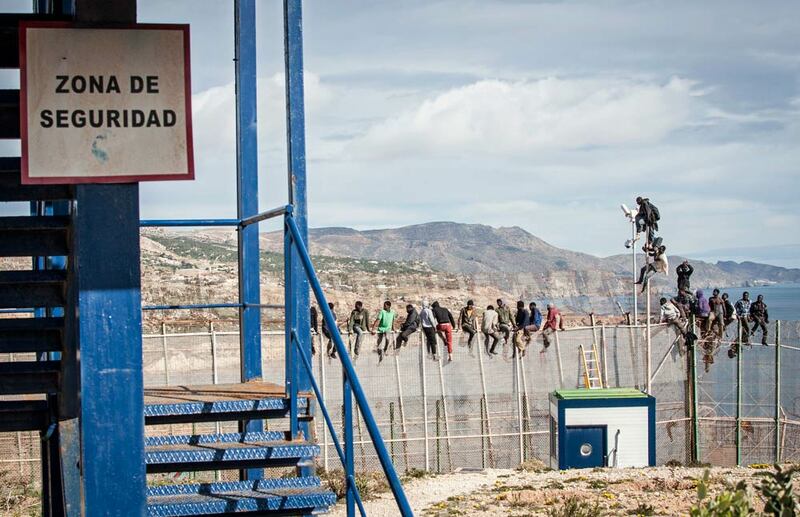 Several hundred migrants recently tried to storm the Spanish enclave of Ceuta on the north African coast, leading to the arrest of more than 200. Driss el Yazami, president of the National Human Rights Council, the group tasked with Morocco’s residency programme, recognises that the process is still in its infancy. “Getting your papers is not a magic wand for integration,” he said. In addition, tensions between local and migrant communities remain fraught. In August, a Senegalese man was killed in clashes between migrants and residents in the northern port city of Tangiers. But such impediments do not faze Simon Ibukun, a Nigerian musician who plans to settle in Casablanca. “I’m Moroccan, and I’m working hard to get into the management business and become my own boss,” he said. 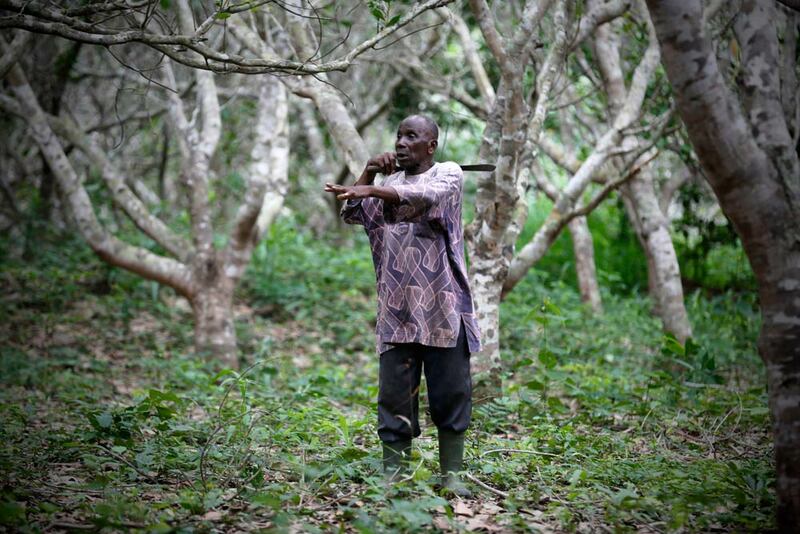 Forty years ago, Henri Kouakou was struggling to support his family farming a small plot outside Bondoukou, a dusty town in northeastern Côte d’Ivoire, when he first learned that money did, in fact, grow on trees – cashew trees. “I was raising yams back then and wasn’t earning enough. I heard people talking about a new tree you could make money growing,” he said, strolling through his plantation beneath a canopy of cashew tree branches. By his own reckoning, Kouakou, among the earliest pioneers of the Ivorian cashew sector, is nearly 100 years old. He has seen the nuts, initially planted in the 1970s to combat desertification, emerge as an important cash crop for the West African nation’s impoverished north. And with output growing by over 10 percent annually – attracting the attention of a government desperate to jump-start its economy after a decade of war and political chaos – he will likely live to see his country dominate the world market. Even a decade ago, Côte d’Ivoire was a middling producer, growing around 80 000 tonnes of raw cashews per year. By last season, however, as demand for the nuts has grown, output had jumped to around a half million tonnes, making it the world’s top exporter and second to India in overall production. In the north of the country, cotton and cashews are the only cash crops, so as some cashew growers have started to do well, others have piled in. Output has increased because new plantations planted in recent years are coming into production. This season, for the first time, the government set a guaranteed minimum price for cashew farmers, fixing it at 250 CFA francs ($0.48) per kilo of raw nuts. According to Malamine Sanogo, managing director of the sector’s marketing board, the Cotton and Cashew Council (CCA), Côte d’Ivoire has hardly scratched the surface of the enormous potential. Ninety-five percent of Ivorian output is exported raw to India and Vietnam for processing. Sanogo says that work should be done in Côte d’Ivoire by Ivorian workers. “We think that with processing we will create many jobs and we will create lots of added value for the country,” he said. Within the next five years, the CCA wants 35 percent of Côte d’Ivoire’s raw cashew output processed locally. Sanogo said bringing processors closer to producers will allow Côte d’Ivoire to cut out some of the intermediaries in the supply chain, boost prices for farmers, and above all create jobs. Having doubled production over the past decade, Africa’s two million cashew farmers produce nearly half of the world’s supply of raw nuts, according to the African Cashew Alliance. Many, including growers in top African producers Guinea-Bissau, Nigeria and Mozambique, are watching closely Côte d’Ivoire’s efforts to become a major player in a global market valued at up to $7.8 billion. In 2002, a failed coup attempt plunged Côte d’Ivoire into a civil war that split the world’s top cocoa producer in two. Once a model of stability and prosperity in a troubled region,Côte d’Ivoire would remain divided between rebels in the north and southern government loyalists for almost a decade. Having emerged as the country’s new president following a civil war in 2011, Alassane Ouattara, a former senior International Monetary Fund official, has ushered in economic growth of over 9 percent in past two years. But little of that growth – fuelled largely by billion-dollar investments in large infrastructure projects – has trickled down to the nearly half of Ivorians living on less than $2 per day. That’s where the government hopes cashews can help. Some 600 000 farmers already grow the nuts, according to the CCA. But the creation of a domestic processing industry would mean more jobs in the sector. Advocates of the plan point to the giant cottage industry in India where a typical unit processes around 10 tonnes of cashews a day with a workforce of 1 000. According to a study carried out by the CCA, every 100 000 tonnes of processing capacity Côte d’Ivoire develops will create 12 300 factory jobs and another 10 000 elsewhere in the sector. On the spotless campus of the large processing factory run by Singapore-based soft commodities trader Olam International in the central city of Bouake, uniformed employees queue up every morning for work. The plant and a second, smaller facility, employ around 3 500 workers with capacity to process 40 000 tonnes. “You can imagine if we can process 10 times this number how much employment can be created. And that is only direct employment,” Issa Konate, Olam’s head of procurement for the facilities, told Reuters. 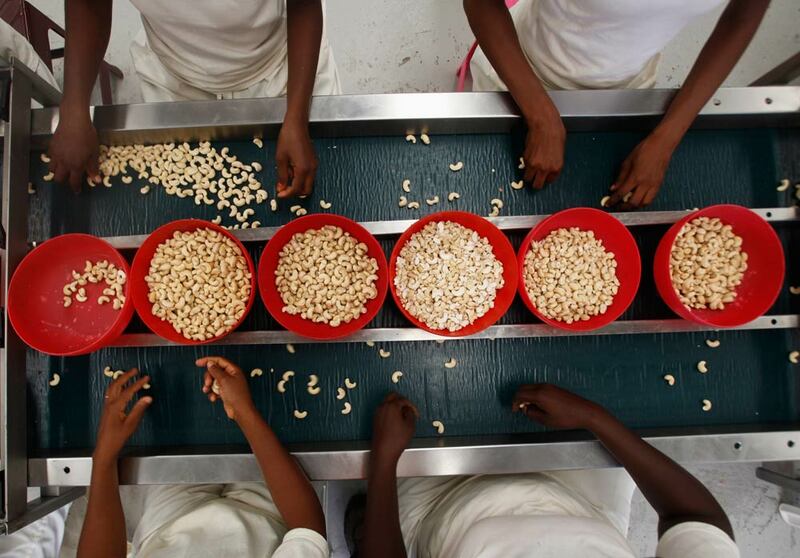 If it can pull it off, Côte d’Ivoire would be the first African nation to build a large-scale cashew nut processing sector as a panacea for unemployment, a problem plaguing countries across the continent. The African Cashew Alliance estimates that a 25 percent increase in raw cashew nut processing in Africa would generate more than $100 million in household income. But Ouattara’s government has an additional, even more pressing, concern: creating gainful employment for the 74,000 ex-combatants it is seeking to demobilise in the coming year. Not everyone is so starry-eyed, however. “Processing? I’m not sure what the government can do … It’s foolishness,” one Côte d’Ivoire-based cashew exporter said, asking not to be named. Côte d’Ivoire indeed faces some daunting obstacles. In addition to competing with processing sectors in India and Vietnam, it must convince private sector partners that political stability will last. It also needs major investments in machinery and must train tens of thousands of new workers. But its biggest challenge will be what to do about nuts damaged in processing – what the industry calls brokens – which typically constitute 30 to 40 percent of output. In India, the world’s largest cashew producer and also the biggest consumer, brokens are absorbed by the domestic market. The same is true in Brazil, the number three processor. Vietnam has traditionally sold much of its brokens in India and has another big market for damaged nuts, China, next door. Côte d’Ivoire, with only infinitesimal domestic consumption, has none of these options, and its less skilled workforce means that the portion of brokens is even higher there. Promoting cashew consumption in Côte d’Ivoire and neighbouring countries is one possibility. But even supporters of this strategy admit it will take time with no guarantee of success. Côte d’Ivoire’s cashew sector may just have come of age at the perfect time. Experts say investors, worried by the dominance of India and Vietnam, are showing interest in diversifying supply and Africa is a logical choice for new processing facilities. From just 35 000 tonnes in 2006, Africa processed a total of 114 600 tonnes of raw cashew nuts in 2012. At the same time, manufacturers say technological advances in processing equipment will reduce the number of brokens to between 10 and 20 percent. Even the definition of what constitutes an exportable nut appears to be changing. Only last year, the difference in the price of a pound of export quality, whole kernel cashews and large brokens was around $2. That difference is now less than a dollar. “If that trend persists it will create a big change in the economics of processing,” said Fitzpatrick, who works with the African Cashew Initiative, United Nations, European governments and private investors to develop cashew processing in Africa. Demand for edible nuts is growing, but the supply of pristine nuts is not. So it appears that buyers are willing to buy more, and pay more for, brokens. Back in Bondoukou, Henri Kouakou is cautiously optimistic. He’s long been at the mercy of volatile, unregulated prices. Not far from his plantation stands a sprawling compound he started building for his family but has never been able to finish. Coming to terms with HIV has not been easy for 13-year old Jean. Shy and soft-spoken, he is not completely at ease with telling others about the complexities of growing up with HIV. Having lost both his parents, Jean lives with his aunt in Abidjan, the largest city in Côte d’Ivoire. Here, adolescents aged 10 to 19 constitute a quarter of the total population and in 2012 they accounted for almost 10% of all new HIV infections in the country. 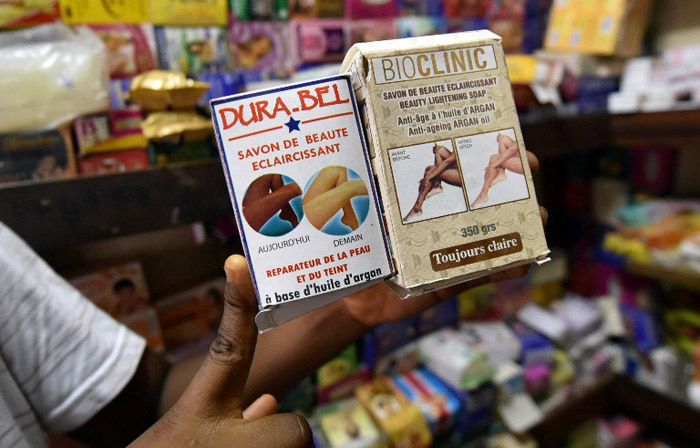 According to Dr Jean Konan Kouamé, an HIV specialist with Unicef in Côte d’Ivoire, such high infection rates can be attributed to “early sexual debut, ignorance about how HIV can be transmitted and limited access to HIV prevention and treatment services”. According to recent data, 88% of the population has never taken an HIV test. Dr. Kouamé believes that this is “because people do not know that if they know their HIV status they can access a treatment that allows them to live longer and healthy lives”. Stigma associated with HIV is such that people living with the virus are reluctant to disclose their status even to their immediate family. For children going through the delicate transition to adolescence, this can result in isolation and loneliness, which makes it difficult to access care, treatment and support services available to them. Jean came out of isolation when he met Cécile Traoré, a support worker with Femmes Actives, a non-governmental organisation (NGO) that provides support to children and women living with HIV. Cécile pays regular visits to Jean in his home. She checks whether he is taking his HIV medication correctly and simply lends him a friendly ear. With Cécile’s help, Jean joined a support group for children living with HIV. The group provides children with a safe space where they can share their experiences, learn life skills and forge new relationships. Adolescence is a difficult period of transition from childhood to adulthood that is characterised by physical and sexual maturation, movement toward social and economic independence, and development of identity. Health services in Côte d’Ivoire are not always equipped to provide care and support that takes into account the specific needs of adolescences living with HIV and that is why this age group is often left in limbo between child and adult care. 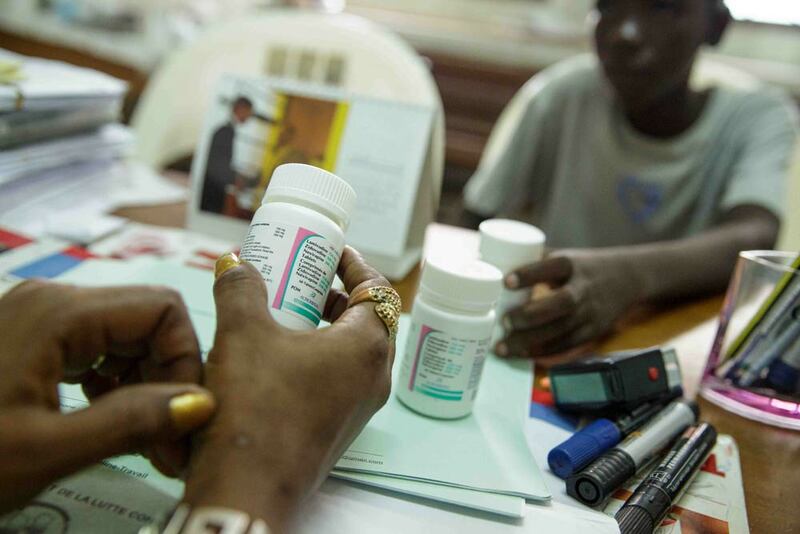 Only a small proportion of adolescents who are long-term survivors born with HIV have access to antiretroviral treatment, and most receive it through limited numbers of specialised centres in urban and peri-urban settings. Jean knows very well how difficult it can be to cope with the challenges of being a teenager living with HIV: “If a young person who is HIV positive has no one to support them, they need a lot of support from their family or an NGO, otherwise they are going to think a lot about negative stuff and stress about the fact that they have HIV,” he says. NGOs like Femmes Actives play a key role in bridging this gap. Thanks to Cécile jean was able to gradually come to terms with his life as an adolescent living with HIV and learn the importance of adhering to antiretroviral treatment. Through the support group, he met other children with whom he can talk freely about common concerns in a non-judgmental environment. However in Côte d’Ivoire and across the African continent, adolescents face many barriers to accessing health and support services and they are routinely neglected in national and global AIDS strategies. Opportunities for greater success in reducing the impact of HIV on adolescents lie in increasing demand for, access to and uptake of key interventions. Barriers to access services must be removed, while the social and economic factors that increase adolescents’ vulnerability to HIV must be addressed. Only by making the most of these opportunities, an AIDS-free generation will be achieved. 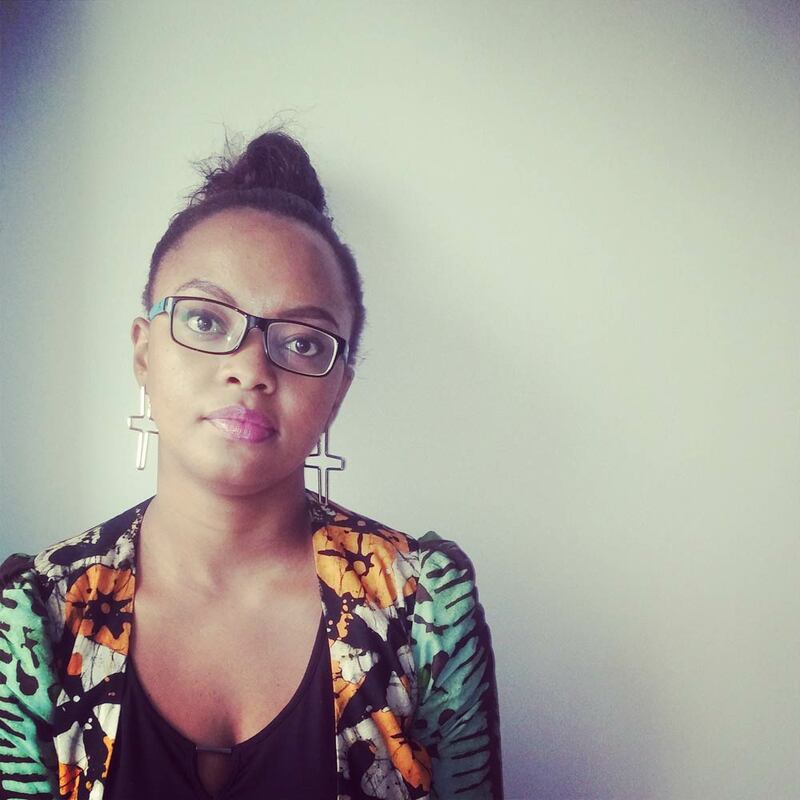 Chiara Frisone is a communication consult with Unicef’s Africa Service Unit. Enquête Démographique et de Santé et à Indicateurs Multiples EDSCI-III. Côte d’Ivoire, 2011-2012. Ministère de la Santé et de la Lutte contre le Sida, Institut National de la Statistique, MEASURE DHS, ICF International.